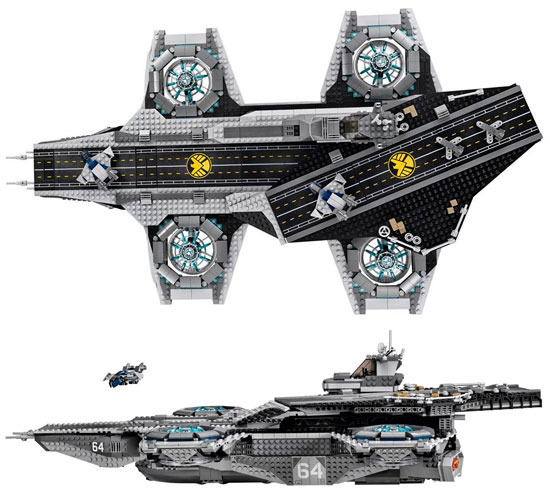 LEGO is going to roll out the awesome UCS SHIELD HELICARRIER (76042) for the Ultimate Collectors Series S.H.I.E.L.D Helicarrier! 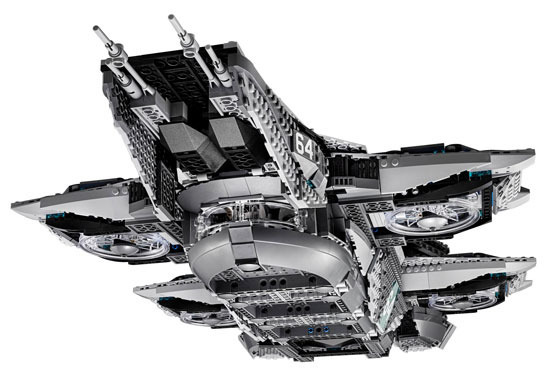 This massive LEGO® model of The SHIELD Helicarrier have two runways, microscale Quinjets, fighter jets and ground support vehicles. 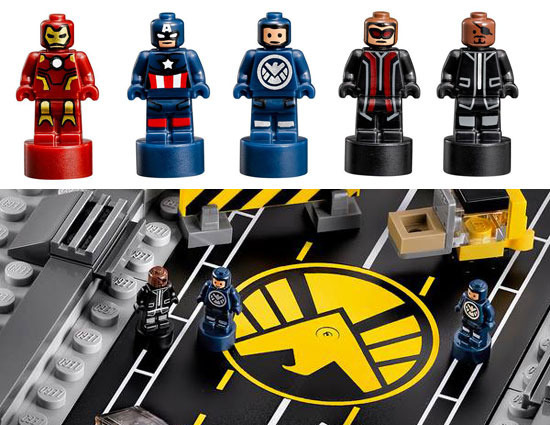 For those who are interested in minifigures, there are 5 minifigures: Nick Fury, Black Widow, Captain America, Hawkeye and Maria Hill. 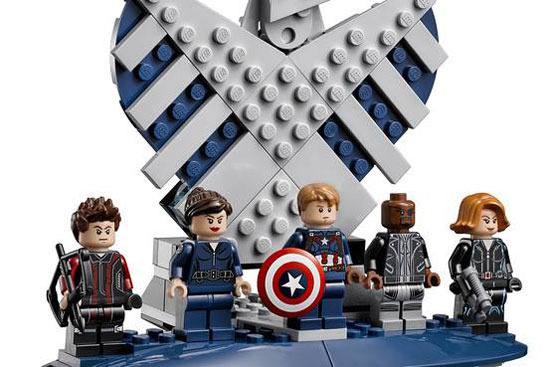 There throw in an iconic SHIELD eagle stand to display them on. 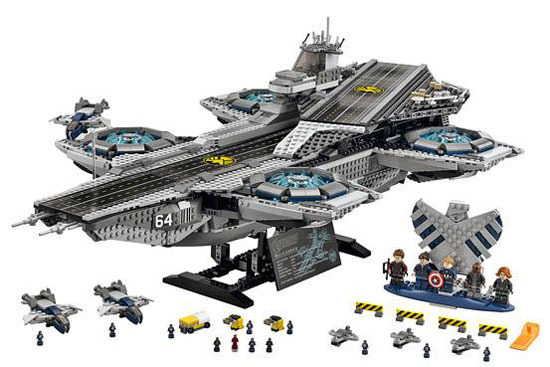 Due to the scale, there will be microscale figures so it would fit in the scale of the helicarrier. There are total of 12 of the microscale figure with no articulation. 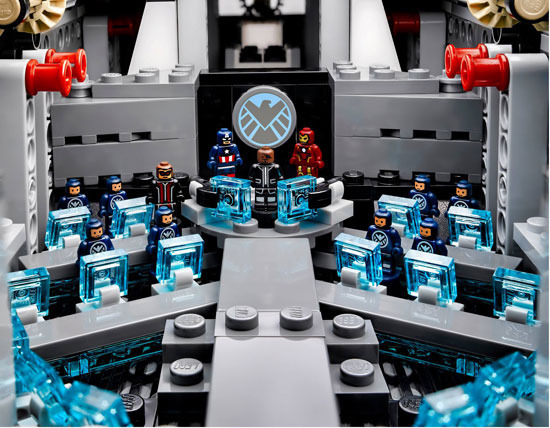 There are some agents just to make the control room better. There are 3 microscale Quinjets, 3 fighter jets, a gasoline truck, 2 forklift trucks, 2 runways, 4 road blockades, armored exterior with translucent elements. 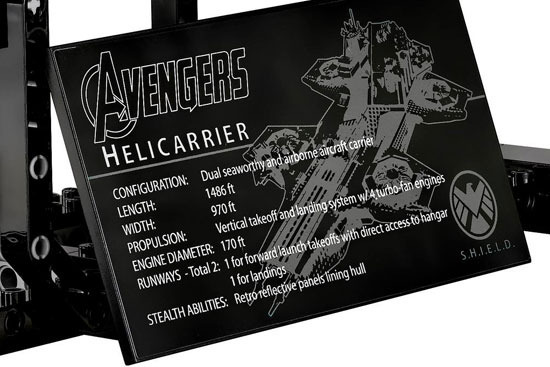 THere are display stand and signage of the Helicarrier just for display. The suggest retail pricing is at SGD $599.90 or US $349.99 in March 2015.